The first issue that i have with all of this is that the dates are generally rubbish and best put aside. The second is our general lack of geological framework in time and space as well. Seismic country tends to do this all often and ground can be disturbed many times. This makes any form of dating tied mostly to the last known disturbance and well nigh useless. Our two obvious Bronze Age deep water constructs off Cuba and Japan happen to be also were the most vertical displacement is most likely. Thus presuming our Atlantean conjecture all holds up for 1159 BC, we have two structures nicely conforming to the Pyramids and apparently contemporaneous. 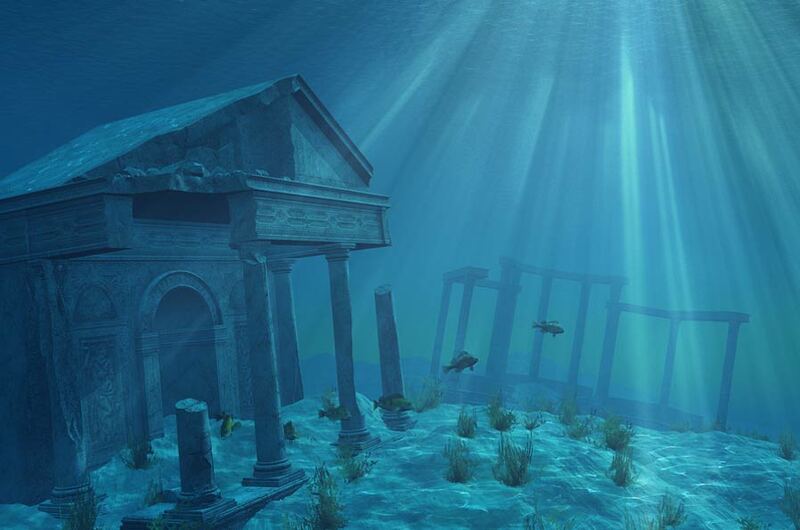 Most of our submerged coastal centers are all much more recent. None of this says much about the extensive civilization residing on the submerged continental shelf before 12900 BP. All that was either swept away or ground away as the sea level rose. What we have are the results of sudden seismic shifts that took it all down into safe waters. Then there is that road of the US East Coast that is fifteen miles long at a depth of three thousand feet. I am loath to suggest subsidence to three thousand feet. Yet that is what is claimed and it needs confirmation. A typical example of the archeological ruins described above was found in waters 120 feet deep in the Gulf of Cabay, located off the western coast of India. It is estimated that the vast city, discovered by chance during an investigation on pollution, could date back some 9,000 years. A more recent discovery of this type took place in 2004, when the same tsunami that battered the coasts of Southeast Asia also moved tons of sand from the cost of Tamil Nadu, India. The storm cleared years of dust that led to the discovery of the mythical city of Mahabalipuram.